you are just as important as anyone you know. you can manifest joy in your life. there is an amazing force within all of us. sometimes it's in hiding. we have to discover it for ourselves. to reach deep down inside and remember who we are. no matter what, we can change the course of our lives. all you have to do is believe in yourself. start with one little mantra each day. choose joy. receive everything with love. don't take anything personally. we are allowed to shift our perspective. what you saw yesterday, you might see differently today. it's ALL in how we look at the world….at ourselves…at each other. so, wherever you are and whatever it is, you can be anything you want to be. it's true. this is star mica from wrightsville beach rocks in wilmington nc. (the most awesome rock store ever….with the most amazing women taking it all on. nicole and kristin are SO knowledgeable and intuitive …they know just what to show you and when. this little baby has rocked the love in our house…. "where do you want to go?…..go with all your brave heart"
and don't forget to "trust your intuition"…..because you are brave. yes, YOU are brave. cheers to you and wherever you are in your journey. if you want to make a change, you can do it. just decide today and you're on your way to doing whatever you want to do. i've made some changes lately that feel amazing. a 30 day cleanse was the beginning to an even deeper transformation than i could have imagined. besides losing some pounds and inches, i have a new found energy and level of excitement that i didn't have before. i feel even more amazing than i did…and feel like the sky is the limit. nothing can stop me on this journey i'm on. every single day, i want to continue to feel amazing and do something positive. i want to meet everyone where they are. i want to be an example and live "the four agreements". i want to tell everyone i know that i believe in them….that it's never too late to make a change or do something you love. to fuel your passion. this is proof that anything can be done….. look at that amazingness…..
so, do it. whatever it is that you need/ want. today is the first day of that journey. make it happen and grow strong. *and on a side note, i would like to share an experience i had last week. ….. proof that people are awesome. i have a workshop coming up and it's called "BRAVE-INTUITIVE-YOU". i love to paint that way…intuitively…fearless…and brave. 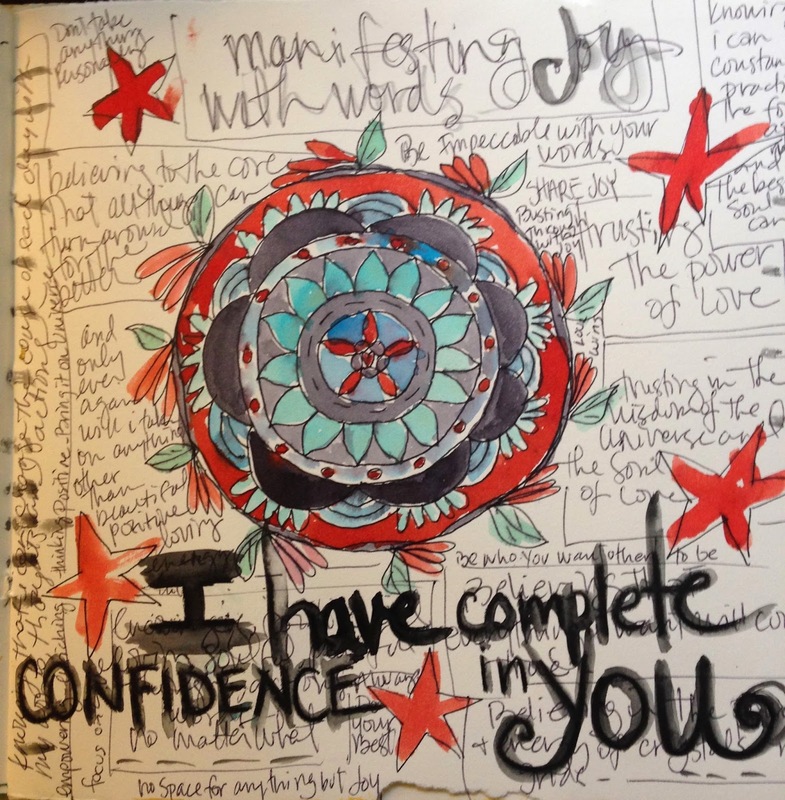 my mantra is "be love" (i'm sure that's a popular mantra)… so after naming my workshop and putting out to my peeps here in little wilmington nc…..i happened to see on Facebook a post from flora bowley about a really cool blog thing she has going on. so i went to her blog and ……GASPED! her blog is named, yes, you guessed…"BRAVE INTUITIVE YOU"… here's what i did. i messaged her on Facebook and told her about my workshop. i assured her that i had no idea this was her blog name…her brand. she responded and wished me the best for the workshop. ….we corresponded back and forth for a minute…i had also written in one of my journals before "roots and wings"….this happens to be a workshop that judy wise, misty mawn, katie kendrick and stephanie lee held in utah. again, just writing words that come to me. we agreed that we are all kindreds. likeminded spirits with a collective consciousness going on…..i just want to say thank you to flora bowley and to all the other beautiful artists out there who share and know that we are all on a sacred journey, all connected. those who are compassionate and understanding….thank you.